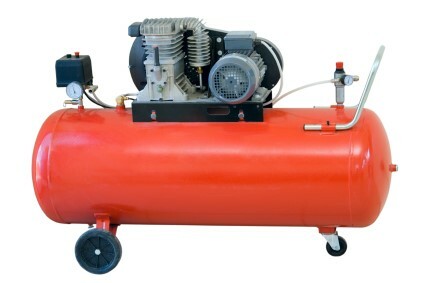 Pressure equipment is a method of storing large amounts of energy for use as required. Systems are also designed to balance the supply of energy to assist tools to give a uniform performance. If pressure equipment fails in use, it can seriously injure or kill people nearby and cause serious damage to property. Each year in Great Britain, there are about 150 dangerous occurrences involving such unintentional releases. Around six of these result in fatal or serious injury and there are numerous examples, taken in real time, by security cameras, on You Tube. This is information which advises you on how to minimise the risks when working with air pressure systems or pressure equipment which exceeds the capacity for the Regulations. It does not cover gas cylinders (now called transportable pressure receptacles or transportable pressure vessels), or tanks and tank containers. There is a Duty of Care on Employers and Self Employed persons using such equipment. Advise on poor maintenance of equipment, unsafe systems of work, poor equipment and/or system design, poor installation, inadequate repairs or modifications, operator error and poor training/supervision. Conduct Thorough Inspections and issue Certificates. Impact from flying parts of equipment that fail or any fragmented part or debris. the skills and knowledge of the people who design, manufacture, install, maintain, test and operate the pressure equipment and systems. Risk is reduced by taking some basic precautions. When installing new equipment, ensure that it is correctly designed and manufactured from suitable materials, including the pressure vessel, pipes and valves for its intended purpose and that it is installed correctly. Repairs or Modifications may require a complete inspection of the whole system to ensure that it is appropriate and safe to use. Ensure suitable protective devices are fitted to the vessel, and, or pipe work. Safety Valves release excess pressure where Electronic Devices shut down the system where permissible limits are exceeded. Ensure the protective devices have been adjusted to the correct settings. If warning devices are fitted, ensure they are noticeable, either by sight or sound. Ensure protective devices are kept in good working order. Protective devices such as safety valves should discharge to a safe place. Ensure that, once set, protective devices cannot be altered except by an authorised person. Ensure there are clear operating instructions for all the equipment and for the control of the whole system including emergencies. The written scheme of examination for the entire system should be drawn up (or certified as suitable) by a competent person on behalf of the owner / user of the system. The system must not be used until a Written Scheme is in place and a Thorough Inspection carried out. The Written Scheme will specify the nature and frequency of thorough examinations, the maintenance regime and include any special measures that may be needed to prepare a pressure system for a safe thorough examination. The pressure system must be subjected to a Thorough Inspection in accordance with the Written Scheme of examination by a competent person. exempted. Heavy goods vehicles, buses and coaches that are not exempted must be tested annually. force. During this period the Government will also continue to negotiate, implement and apply EU legislation. the future once the UK has left the EU. vehicles must be at least 30 years old, no longer in production and should not be substantially changed. do not propose to exempt HGVs and PSVs from road-worthiness testing. from 1987 in 2017). We will also have to define ‘substantial change’ as there is no definition in the Directive. using this rule to determine whether a vehicle has been substantially changed. RIES have received a number of complaints in relation to the use of beacons and hazard warning lights. Basically operators are using leaving beacons on when moving along the road at a speed which does not constitute a risk to other traffic i.e slow moving. For example a tilt and slide witha vehicle on the bed and travelling at the legal speed for that vehicle and having flashing beacons on. Lets be clear about this beacons should only be used when stationary or when slow moving and posing a danger to other traffic. To use them in any other way degrades the proper use meaning. RIES would ask all operatives to visit this issue and ensure your company applies professional standards. As we travel the country it is sole destroying to see the demise of a number of recovery operators. Whilst the recent financial doldrums may be a contributory factor there is a n underlying reason.The majority of the companies we see failing to stay afloat cannot compete with the “Shell Suit Bob’s” who are recovering for a fraction of the price. It is very easy for these ‘rogue’ companies as, in many cases, they do not have any standards or indeed proper recovery training. In addition the insurance cover they have may not be appropriate for the operation they perform. What is more worrying is that a number of motoring groups who are signatories to PAS43 standard and are members of the Survive Group, which initiated the standard, are prepared to use these non qualified companies over those who maintain standards. The fact that such sub standard companies are being used raises issues for the motorist who has paid a membership levy but is being recovered by a company that may not be properly insured and has no formal training. Surely there is liability here in relation to the motoring groups.